Breathing is most important part of our physical body which work automatically. Without any effort. So, we are not conscious about our breathing. 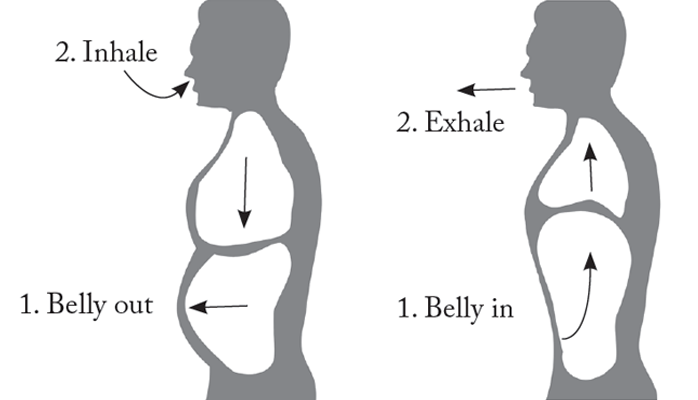 How we inhale or exhale our breath, whether inhale and exhale through mouth instead of nose. If we are habituated to inhale through mouth then what will happen. Although most of the people are breathing in this way. It will dry our mouth and feeling dryness in our throat. It may cause cold and uncomfortable feeling in lung. Reduce energy instead of energized. and also shrink after exhale. That means we are not inhale or exhale through our lung properly. We use our lung partially. So, What to do? The question is relevant. Please try to breath properly in your lung and also inhale through your nose. then you have to start breath accurately through your nose using your lung. by and by it will be a habit. you are feeling inside your body, energy level, work force and lots more.